M&S Parking: Vision Zero: Two years later, is it a success? 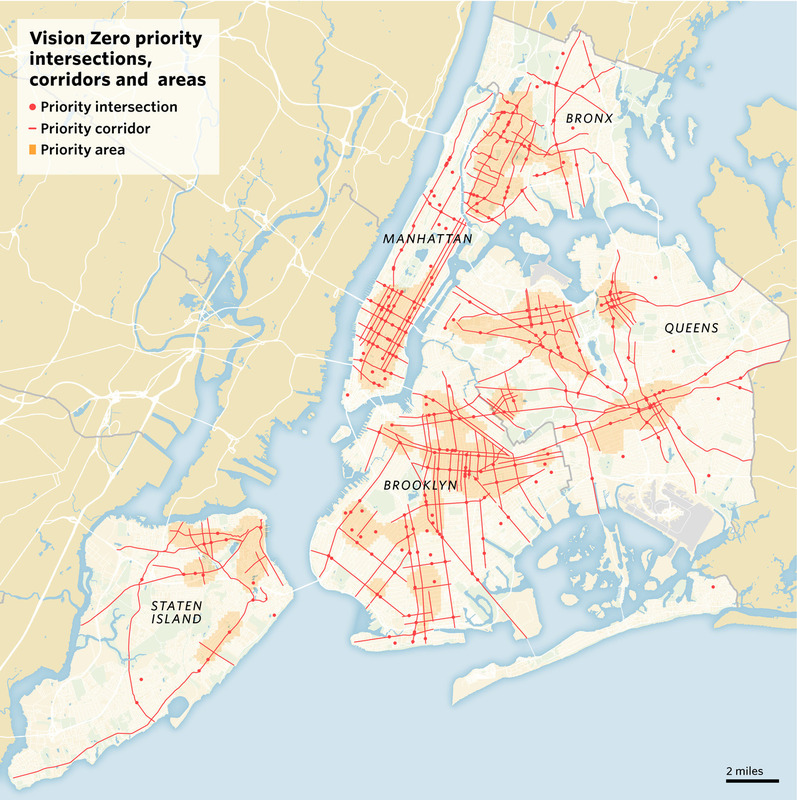 Vision Zero: Two years later, is it a success? As Vision Zero enters its third year, how has Mayor de Blasio's safety initiative fared so far? According to the Wall Street Journal, traffic fatalities are down from 277 in 2013 to 217 at the end of 2015. Pedestrian fatalities are also down from 181 in 2013 to 122 this year. Although there was a higher than normal number of fatalities last month, the administration says they are still making progress thanks to better traffic enforcement by the NYPD, 120 new speed cameras, reducing the speed limit to 25, the redesign of the notoriously dangerous Queens Boulevard, and the closure of certain areas of Central Park and Prospect Park to cars. Vision Zero's goal is to have zero traffic fatalities, which means the city needs to reduce traffic deaths by 40% every year for the program's remaining eight years. So far, the city is short of its target, but the mayor's office says as more safety initiatives are added, the reductions will increase with more intensity.